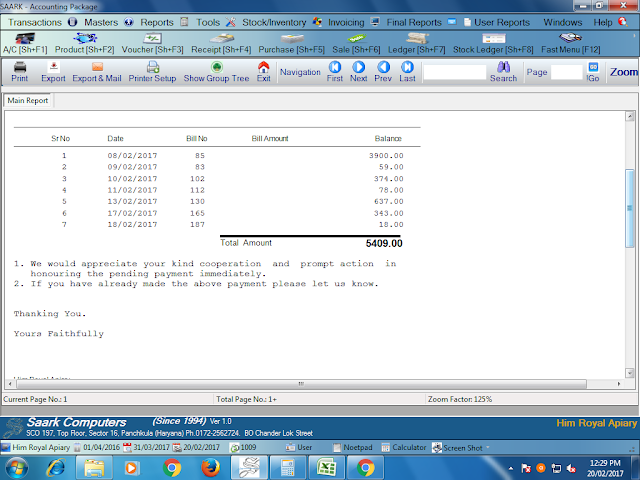 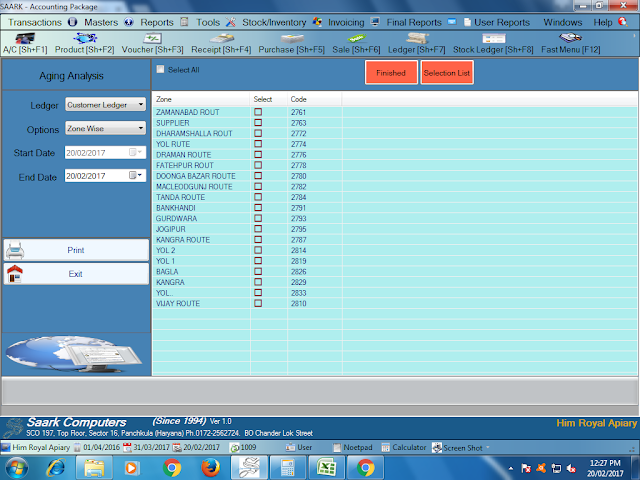 Today I learnt how to check bill wise payment reminder on saark accounting software. 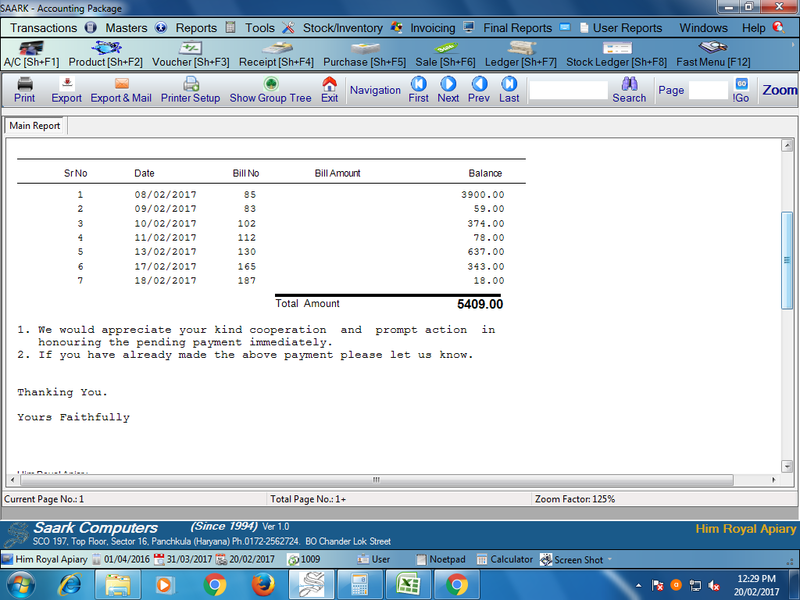 We can send payment reminder to those customers who are not paid bill amount on time. 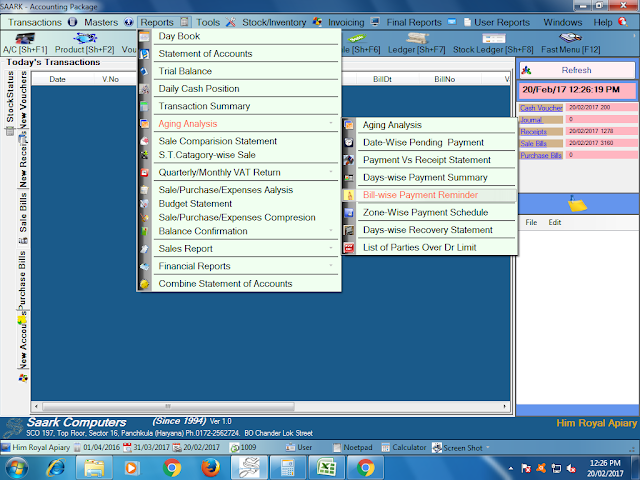 After click on bill wise payment reminder you will found a new screen, Then Select Ledger type like customer ledger, then select zone and click on Print tab ,after that you will found a new page where you can see the information regarding bill wise payment reminder.